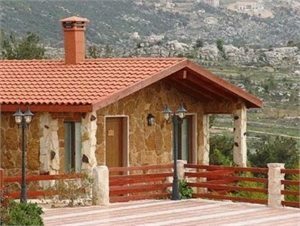 L’Etoile Du Loup Hotel Jezzine Lebanon is a set of rustic chalets located on the top of a 1200 meters hill, overlooking the village of Jezzine 45 km south of Beirut or 28 km from Saida.The chalets are surrounded by the Bkassine pine forest, known as the biggest forest in the Middle East. Just 2km away, you can visit the mysterious Niha cave or lay back and enjoy the splendid Jezzine waterfall which is the 5th highest waterfall in the world. 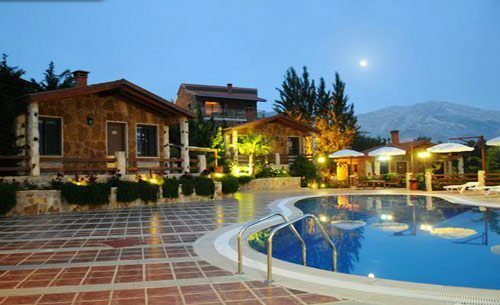 The resort comprises 15 deluxe chalets all of which are equipped with one bedroom, a living room with a fireplace, a kitchenette and a bathroom.In the summer, you may enjoy the swimming pool, the Jacuzzi or a drink on the terrace. And in wintertime, a hot coco cup with a good company by the fireplace watching the snow falling,all around you!